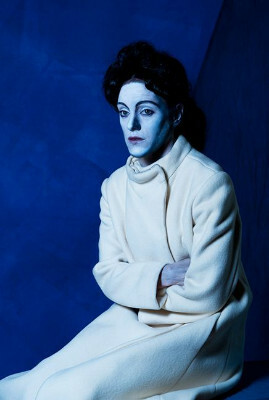 The exhibition at the Provincetown Art Association and Museum, Amy Arbus: After Images, on view through November 15, blurs the line between painting and photography. After Images focuses on a series of works created between 2011 and 2012. The artist teaches portraiture at the International Center for Photography, Anderson Ranch, NORDphotography and in Provincetown at the Fine Arts Work Center. She has exhibited at Schoolhouse Gallery in Provincetown. The strength and weakness of this suite of images is the ready familiarity of the subject matter. Although fresh and contemporary, as we explored the gallery there was the haunting, indeed spooky sense that we have seen all this before. The artist has been very explicit in evoking the masters of early twentieth century modernism and the School of Paris in particular. 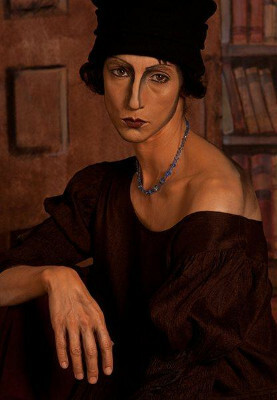 With a display of virtuoso technique and evocative imagination she has conjured masterpieces of Picasso’s Blue Period, the sinuous, El Greco-like attenuation and mannerism of Modigliani, the eroticism of Egon Schiele, or the chilly, frightening image of “Puberty” by Edvard Munch. Other images are inspired by works of Ingres, David, and Cezanne. Bearing the blessing/ curse of that famous name, Arbus, she is vulnerable to comparisons to her legendary photographer mother. It is also readily apparent that these posed images channeling modern masters draws comparison to the works of Cindy Sherman. It is up to the viewer to set this aside and marvel at what she has so splendidly replicated. The set up of the images is complex to the extreme. That starts with a careful study, deconstruction if you will, of the formal, technical aspects of the source material. This entails, for example, how to get just right the cool blueness, the melancholy if you will, of a Picasso from the Blue Period. 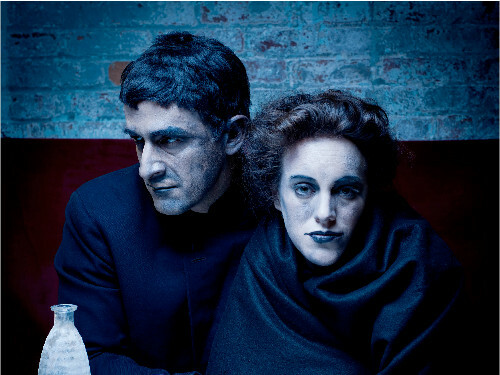 “I chose portraits that I found emotionally intense and heartbreakingly beautiful,” Arbus states about this exhibition. “Re-enacting a painting requires a very deliberate kind of scrutiny. It felt like dissecting and re-assembling. I was always too intimidated to create portraits in the style of another photographer, yet ironically with this series, in taking liberties from the original, I feel I was able to make my most unique body of work yet…“When people first see them, they aren’t sure if they are looking at paintings or photographs. Many elements merge in the success and compelling nature of these images. It starts with casting models who have physical resemblances to the original models used by the artist. Given the poverty of the artists and their bohemian models that must covey vulnerability and poverty with a youthful, wistful, poetic quality. There is the challenge of creating a set with props that clone the source. The next step involves the work of a masterful makeup artist. Then there are elements of painting that create the impact of the brushwork of the artist. In choosing these artists and period of their careers Arbus is creating a body of work that is universally beloved by museum visitors. While the least experimental and avant-garde work of his career the Blue Period of Picasso, when he was young and struggling, has the most appeal for general audiences. These are the same individuals who will adore this exhibition in Provincetown. It has been reported that as a young woman she resisted the lure of photography. She studied music at the Berklee College of Music and hung out with The Cars. Later she switched to the School of the Museum of Fine Arts. "I was holding myself back, afraid to compete with this legend... But I remember the minute the viewfinder came up to my eye, I was like, Oh my God, I'm home,” she said. From there it was the point of not looking back. Encountering this wonderful body of work one muses that, arguably, it’s in her DNA. "I love your writing... You use great metaphors and structure. You're one of the best critics/art analysts/appreciators I've ever read. You give such insight into art. You're not superficial, you're an intelligent submarine probing the depths of meaning." "What an interesting and controlled artist. 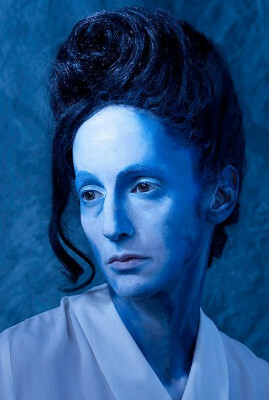 Hauntingly Egon Schiele/Modigliani and there's that Picasso blue period element as you say." "Uncanny images. Let's see more."